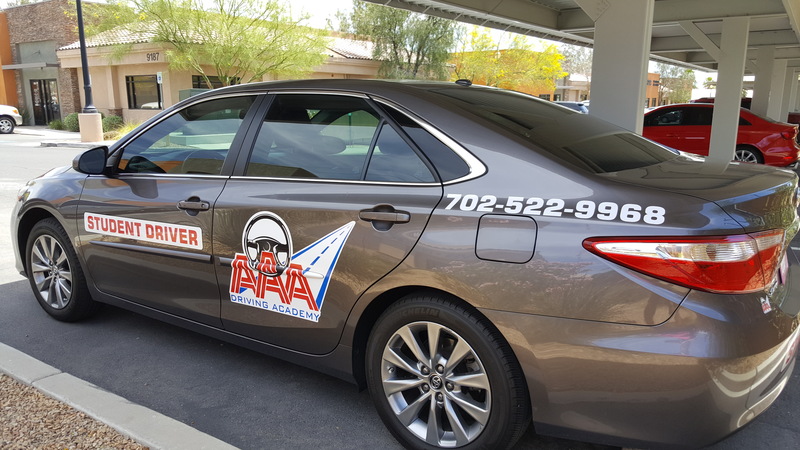 AAA Driving Academy now offers classroom drivers ed for teens, featuring Las Vegas’ Only Driving Simulator, under the expertise of experienced instructors – reserve a spot today! This is an awesome driving school the instructor's are professional and they really do care, Dana is also awesome, good people skills and genuine. I would certainly recommend AAA Driving Academy, thank you all for helping my two teenagers. 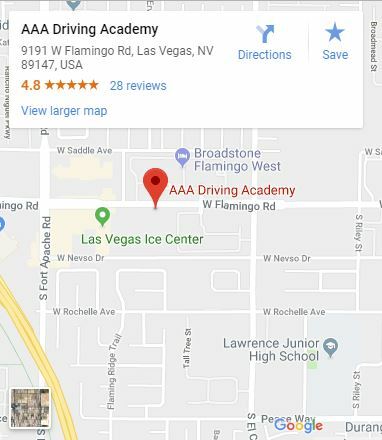 AAA Driving Academy has been wonderful to my son and has really helped him gain confidence and improve his driving skills. Dana is very thoughtful and helpful with scheduling and with keeping us informed about everything we need to do to get ready for the NV road test. And I cannot say enough about about their driving instructors. Sandy, Stephanie, Wayne and David are kind and patient souls, and I feel very comfortable letting them take my son all around the valley to practice driving. David asked my son if there was anything he'd like to practice, and my son said that he wanted to practice going through the drive-thru window at a restaurant. So they went to Jack in the Box and David bought my son some fries and a milkshake. That kind of compassion and personal commitment to a job is extremely rare. I keep buying more driving time for my son because it has been so beneficial to him. Dana gave me the choice of keeping him with the same instructor or letting him work with different instructors. I chose for my son to have different instructors so he can see many different perspectives. Our city is so busy and drivers can be impatient, so it's important for young drivers to have as much experience as possible before being set out on their own. I am so pleased with AAA Driving Academy, and I whole-heartedly recommend them. I really felt comfortable in my driving class , and Also my tutor Diego was really nice!!! Amazing school and amazing instructors the behind the wheel lessons are amazing and very helpful and the simulation to learn the Ike’s of the road.